My Block, My Hood My City believes that the city reflects who we are, and we have a responsibility to what it is. 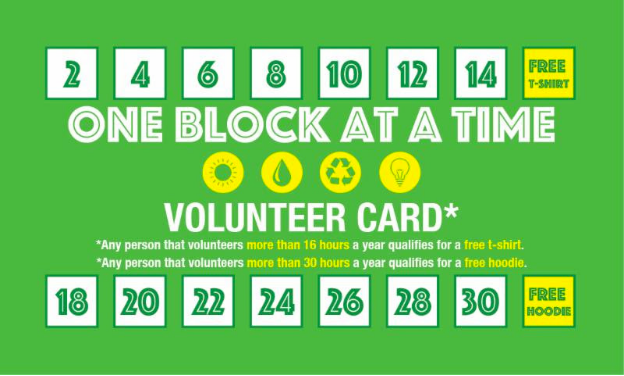 Therefore we host 2 volunteer events per month through our One Block at a Time Initiative. We support Chicago block clubs by cleaning alleys, mowing lawns, shoveling for seniors, and more. Complete the form below to join our newsletter and stay up to date on our upcoming volunteer events! In an effort to promote more volunteering in Chicago, we're taking it upon ourselves to incentivize some action. Any person who volunteers at our One Block at a Time Initiative, or any other Chicago organization, will have an opportunity to receive a free MBMHMC t-shirt or hoodie. All you have to do is print this card out (or pick one up at one of our events), spend 16 hours volunteering in a year with MBMHMC or any of our partner organizations, have the organization’s staff member sign off on your number of hours served and then you earn a free MBMHMC T-shirt, spend 30 hours volunteering in a year and get a free hoodie! This incentive is our way of showing appreciation to our volunteers for doing what's right.